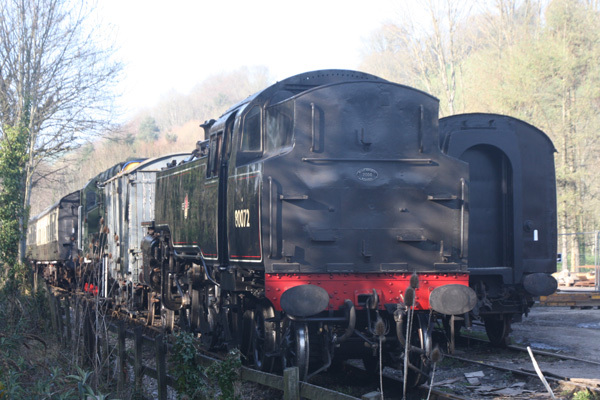 The first of our hire engines has arrived at Buckfastleigh in time for our Easter Gala. 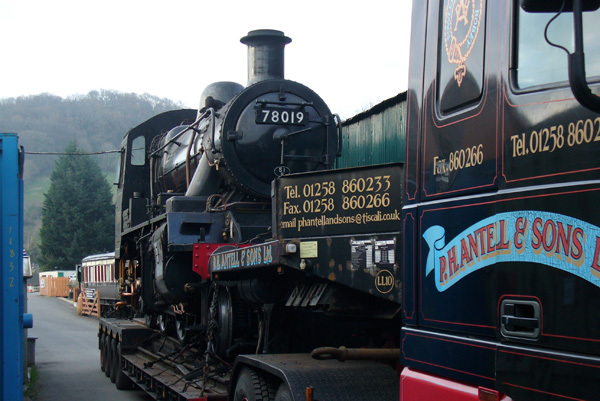 BR 4MT 2-6-4T 80072 arrived late afternoon on 27 March 2012 and was offloaded from the transporter using our “09” shunter D3721. 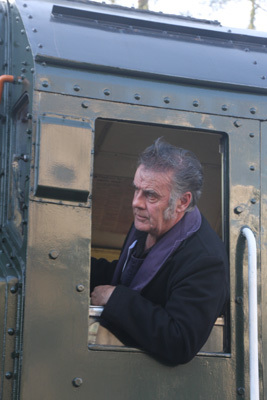 Driver Colin Harmes reprised his past today for when at Hither Green, South London, on the Southern Region in 1969 he also drove D3721. 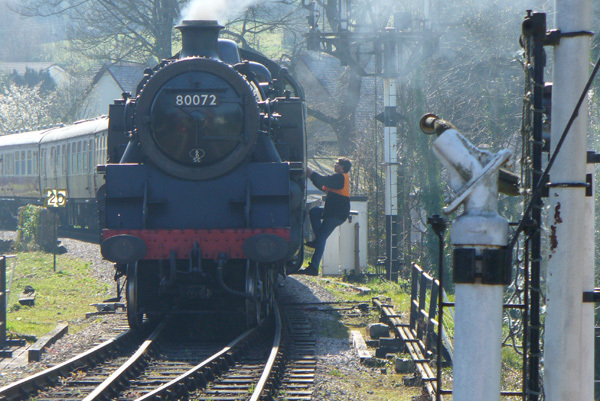 Today (03 April 2012) the second of our visiting BR standard class locomotives, a standard 2 number 78019, was delivered by P.H. 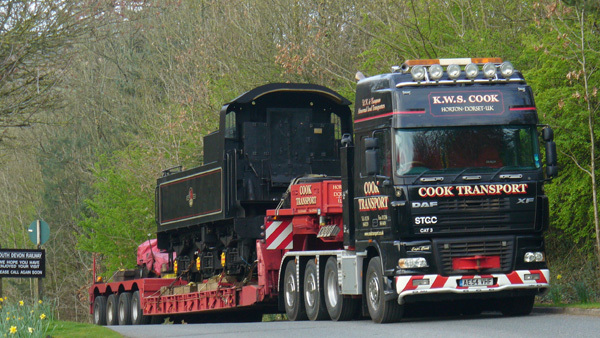 Antel & Sons Limited whilst the tender was delivered by K.W.S. Cook. 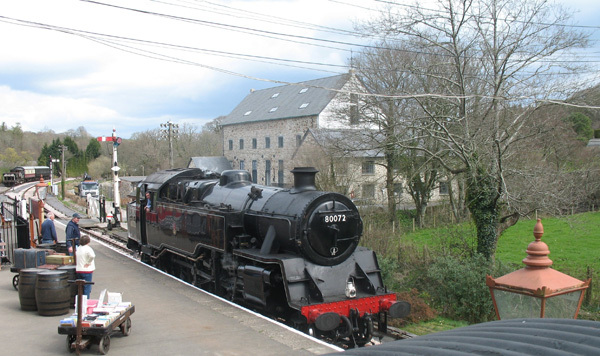 BR Standard 4MT 80072 was taken for a trial run up the line to Totnes and back.